Chica. While Summerlane is not a gated community it is nestled off the beaten path in an area much to itself. It’s location is really ideal as you walking distance a grocery store, restaurants, parks and only a short bike ride to the beach or Huntington Harbour. 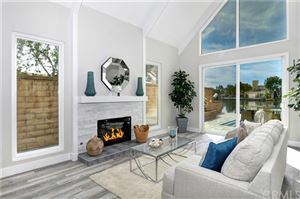 There are 2 main entrances into the community with one coming in off of Warner and the other off of Heil Ave.
Click here for a list of all available properties in Summerlane Huntington Beach or just see below. Summerlane was built in 2001 and is made up of 4 different communities which include Ashbury, Claremore, Avalon and Hideway. The floor plans in Ashbury are the smallest and range from a 3 bedrooms / 2. 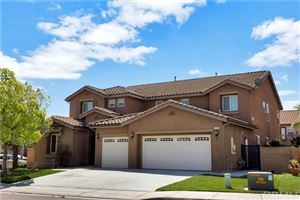 5 Bath with 1,637 sq/ft up to a 4 bedrooms / 2.5 baths with 2,165 sq/ft of living space. The Claremore floor plans range from a 4 bedrooms / 2.5 baths with 2,371 sq/ft up to a 4 bedroom / 3.25 Bath and 2,653 sq/ft of living space. The Avalon floor plans range from a 3 bedrooms / 2.5 baths with 1,953 sq/ft up to a 4 bedrooms / 2.5 baths with 2,272 sq/ft of living space. The Hideway floor plans are the largest in Summerlane and range from 4 Bedrooms / 3 Baths with 2,700 sq/ft up to 4 bedrooms/ 3.5 baths and 3,300 sq/ft of living space. The amenities in Summerlane include the Summerclub (a clubhouse) with a patio and large swimming pool, a huge park featuring a kids playground, greenbelts. The community does have an HOA fee of $85 which is paid monthly and includes the amenities just mentioned as well as the common area landscaping, fence/wall maintenance, pest control, insurance and utilities and lighting for the common areas. If you are looking to buy or sell in Huntington Beach and want to learn more about what the area has to offer, please call me at 714.376.2711 or email me a jeb@jebsmith.net and we can set some time to give you a tour.